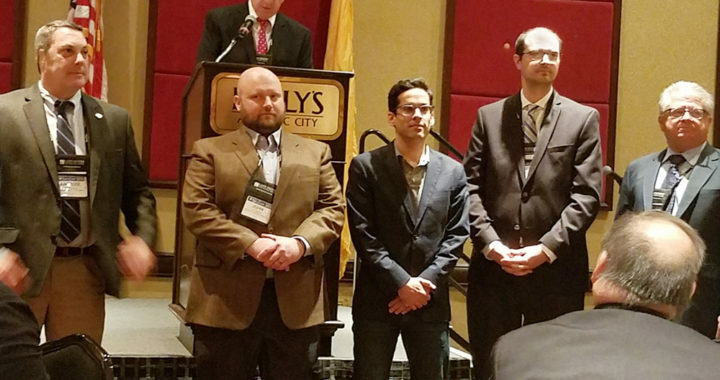 DPK Consulting, a Land Surveying and 3D Scanning firm well known for their industry experience and commitment to customer service, has opened a southern New Jersey office in Mount Laurel. Their new location provides cost effective mobilization to Philadelphia and Delaware. 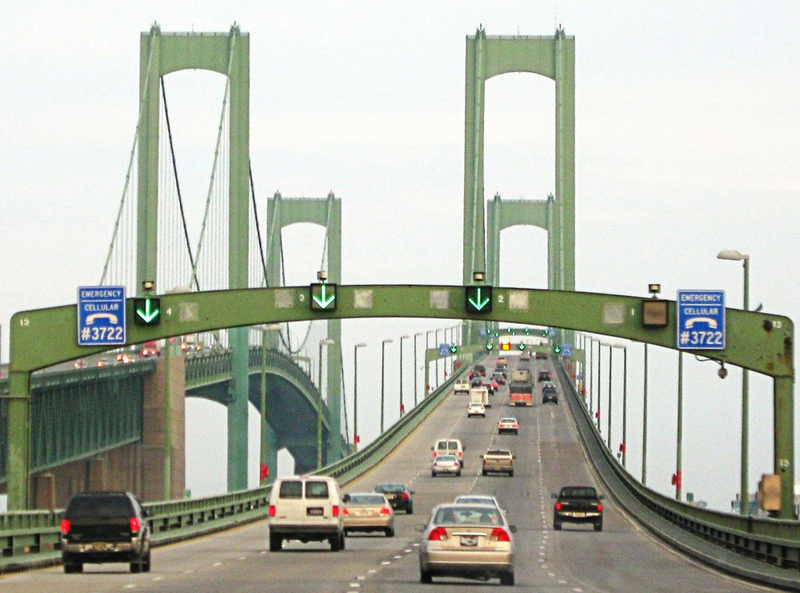 Pictured above is The Delaware Memorial Bridge heading towards New Castle, DE. DPK has expanded its interstate licensing and has been providing services to all boroughs in New York as well as Connecticut. Now, they can better serve Philadelphia, PA regions, Delaware and have even completed projects in Washington D.C.
DPK Consulting is dedicated to its people, safety and leading technology. Individually and collectively, they are committed to providing service without boundaries. 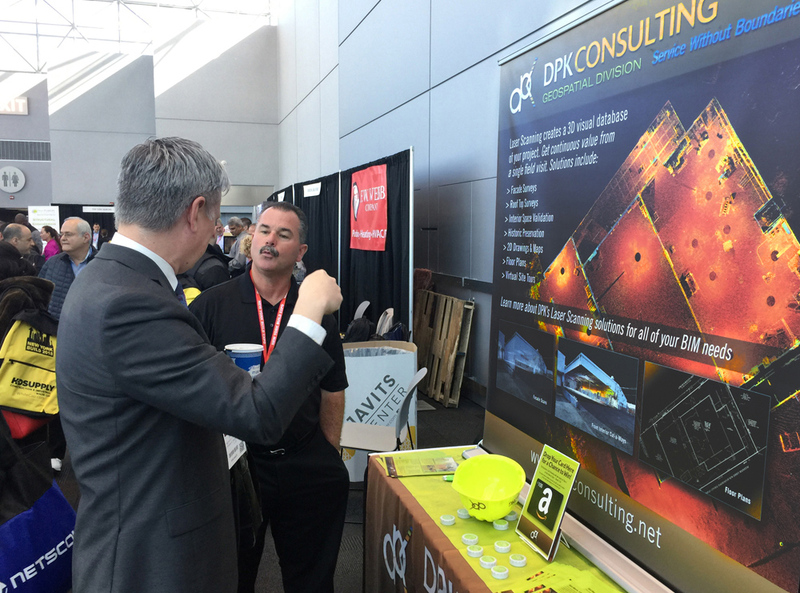 DPK Consulting’s Steve Parent welcomes guest at the Jacob Javits Convention Center. The DPK exhibit illustrated exciting new uses for 3D Scanning and caught the attention of architects, construction managers, engineers and environmental consultants specializing in land development of remediated properties. “This was our first time at NY Build,” states Steve Parent, Principle at DPK. “We’ve successfully expanded our services to all 5 boroughs of New York which was a key part of our strategic plan and logic for exhibiting at this show. This effort along with our investment in 3D Scanning has steadily increased our geographic footprint. The new technology has enabled us to reach further while maintaining the responsiveness and quality our customers count on,” concludes Mr. Parent. DPK Consulting is utilizing 3D Scanning technology for a wide variety of projects including: building remodeling, major infrastructure updates, warehouse renovation, water main replacement, utility clearances, fill pile volumes, billboard surveys and more. Learn more about DPK’s 3D Scanning solutions and commitment to service without boundaries at https://dpkconsulting.net/our-services/geospatial or call 732-764-0100. Well-known in the industry for service reliability and top-quality work, DPK also scores high marks in an area few other surveying companies invest in – health and safety. 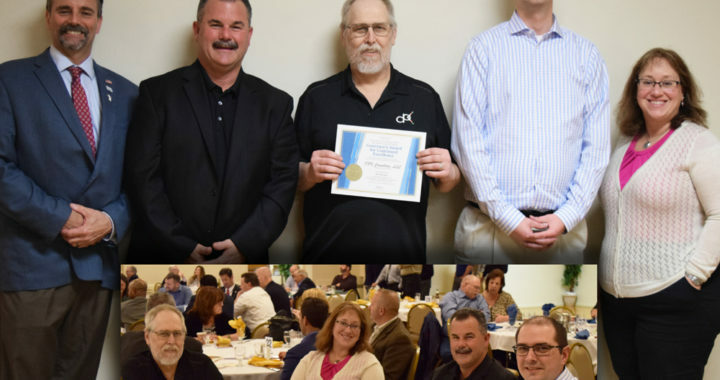 DPK’s principals, Steve Parent and James Heiser, along with members of the DPK team, accepted a well-deserved Award of Merit at the 2018 Governor’s Annual Occupational Safety and Health Awards Program. This award is presented to organizations with an outstanding safety record throughout 2017 and are considered a pillar of achievement in the prevention of workplace injury and illness. DPK has consistently achieved this important goal each year since 2014. “Our Health & Safety program has really matured, states James Heiser. “It’s very gratifying to see others at DPK embracing safety and taking the lead to sustain this critical element of our business. As much as it represents a differentiator for our company, I think all companies, especially those who provide field services, should be making this investment in worker health and safety”. Established in 1999, DPK Consulting is a Commercial Land Surveying and 3D Scanning Services firm. They provide a deep platform of high-value services to Construction, Commercial and Environmental markets. 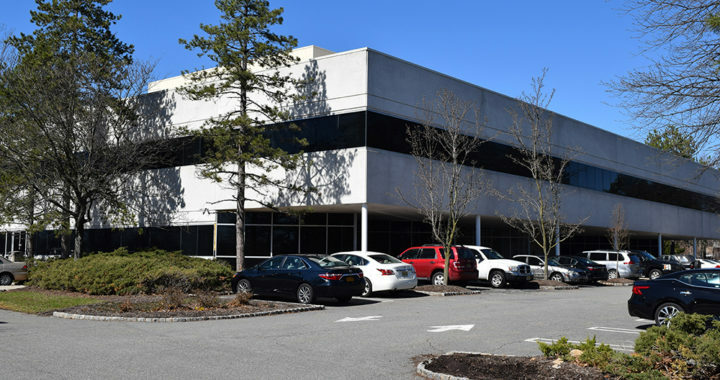 They are headquartered at 220 Old New Brunswick Road, Suite 201, Piscataway, NJ 08854. For more information about DPK call 732-764-0100 or request a quick quote. 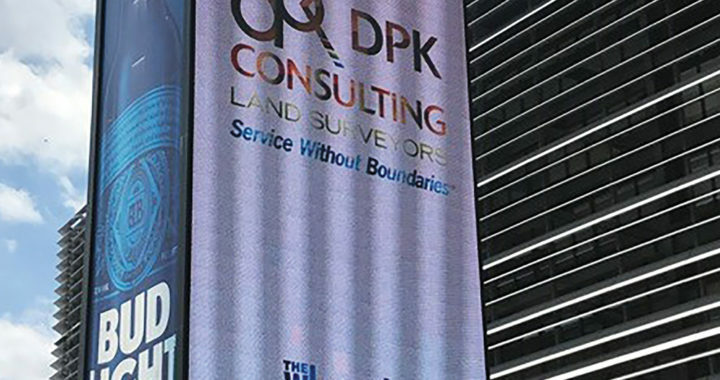 DPK Consulting, a professional Land Surveying firm, has experienced steady growth over the past few years. This success is attributed to many factors beginning with unequaled responsiveness to their customer’s needs and an ongoing commitment to the quality of their work. But as most business owners would acknowledge, doing great work and providing excellent service in a sustainable way, must be supported by a strategic plan that recognizes all of the important components that enable the business to grow effectively. DPK’s new headquarters is a 25% increase in space from their previous location. More than just space, they had the opportunity to design their office layout to maximize workflow and internal collaboration between field and project management, and project management to drafting. The office provides a very large conference room for both client and health & safety meetings; a large kitchen and dining area for team members to enjoy some down time. They are conveniently located off of Route 287 in Piscataway, making the deployment efficient throughout the region. It’s also far more accessible and convenient commute for team members. “Our old space was restricting our ability to optimize our operation. This location will more than support our projected growth and enhance our ability to attract new talent,” concludes Mr. Heiser. In addition to increases in DPK’s primary business, they have also expanded their services platform. During 2016, they launched a Geospatial Division and brought on a dedicated director from a major consulting firm. This move pushed DPK into the forefront of new and innovative technology. Adding 3D Scanning to our services offering has expanded the markets we can approach,” states Steven Parent, Partner at DPK. We are very encouraged by the demand we are seeing. While we are testing many new markets with our scanning capabilities, we are also finding higher value solutions to provide to our existing customers in commercial development/construction and environmental projects. DPK Consulting is a steadily growing professional Land Surveying firm that is known for responsiveness, flexible scheduling, quality work and safety. Now architects, engineers, construction contractors and environmental consultants can count on DPK for high-value 3D scanning services. 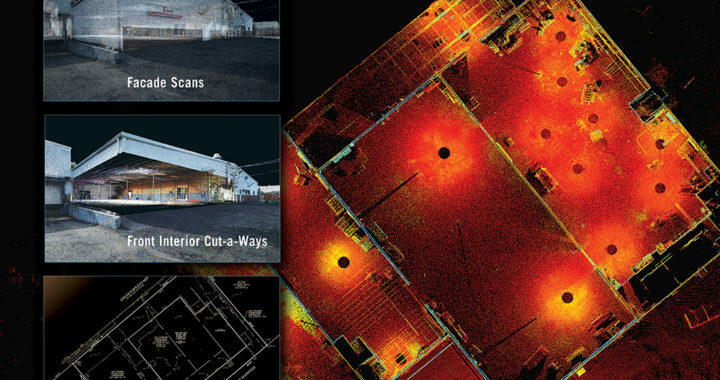 3D laser scanning methods capture extremely comprehensive site data in a single field visit. The site information collected is assembled in what is referred to as a Point Cloud. From this point cloud data, a myriad of features can be extracted immediately, or over time, and delivered to customers without additional field visits. This increases overall efficiency and provides greater value across the lifespan of a project. “In addition to expanding what we can do for our current clients, states Jon Stuhl, Director of Geospatial Solutions, we can offer new services to expanded markets such as architects who need 3D models for the redesign/repurposing of an industrial facility or the restoration of a historic building. The uses for scanning are unlimited and very powerful”, continues Mr. Stuhl. “We recently scanned and mapped a telecom facility to help them assess if their transmission and receiver equipment would work within their property boundary. We just received a RFP from a school who has a structural problem and a need to monitor a main wall that is bowing away from the building. Our scanning technology is ideal for mapping things like this”, concludes Mr. Stuhl.